The U.S.-flagged Pride of America is NCL's year-round Hawaii cruise ship. This cruise ship exclusively features 7-night Inter-Island Hawaii cruises, sailing round trip from Honolulu, Oahu, Hawaii. Such cruises offer a great value, as well as convenience, as travelers are able to avoid the hassle of having to frequently pack and unpack, flying island to island, in order to see all of the most desirable areas of the exotic Hawaiian Islands. In March 2016, Pride of America emerged from an intensive dry dock, where she received ship-wide enhancements as a part of the fleet-wide Norwegian Edge™ imitative. This refurbishment included newly redesigned public spaces, new venues and refreshed décor in all staterooms. Guests will find onboard a modern, updated look with contemporary designs, furniture, new lighting and flooring! New venues include the Soho Art Gallery, where guests can stroll through an expansive gallery of original works of art for purchase, as well as the new Perspectives Photo Studio - an area where you can immortalize your vacation with professional photos. Sate your sweet tooth after at Dolce Gelato, Norwegian's signature gelateria now onboard Pride of America! 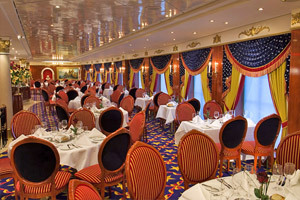 With 11 restaurants, as well as 24-hour room service, available on board Pride of America, you're sure to always have plenty of dining options. 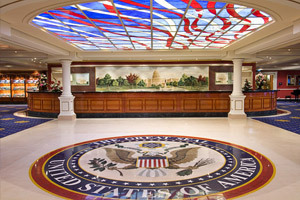 Among the restaurants are the two main dining rooms (Liberty and Skyline), as well as specialty restaurants (including Jefferson's Bistro, Little Italy, Lazy J Texas Steakhouse, East Meets West and a sushi bar). Following Pride of America's Norwegian Edge™ upgrades, all dining venues now boast new artwork, lighting fixtures, window treatments and more! Guests will now also find more freedom and flexibility when it comes to dining onboard Pride of America, with the addition of new menu choices and à la carte items in complimentary dining rooms and specialty restaurants. Pride of America's new menus now feature increased variety, carefully developed by a dedicated culinary team to focus on balancing traditional favorites like prime rib, chateaubriand, rock of lamb and escargot with current dining trends and the modern guest's expectations. Pride of America has a wonderful variety of staterooms and suites available on board. Among the choices are insides, ocean views, balconies, mini-suites and suites (that are as large as 1,000+-square feet in size!). 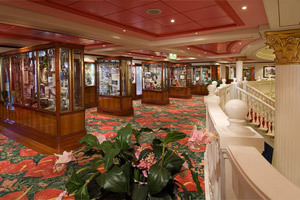 As part of her 2016 refurbishment, Pride of America's staterooms all received new bedding, furniture, flat screen televisions and updated flooring. Please be aware that, due to Hawaiian gaming regulations, there is no casino onboard Pride of America. However, between the amazing itinerary and fabulous on board ship features, you're sure to find plenty to do while on a Pride of America cruise. 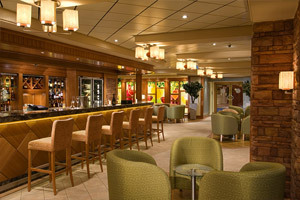 As far as things to do on board Pride of America, there is a two-deck show room featuring live nightly performances, as well as many bars and lounges (including a cabaret lounge and nightclub), pools, hot tubs, spa and much more! The first Hawaiian cultural center at sea is a great place to learn all about the culture of the destinations being visited on your Pride of America Hawaii cruise. This tranquil spa is where you can enjoy a variety of wonderful spa treatments. Some of the possibilities include facials, massages, body wraps and acupuncture. Also in this area of the ship is a fitness center with state-of-the-art machines and a variety of exercise classes that you can take. 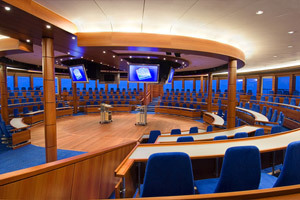 This two-level theater accommodates up to 880 guests, and it where you can see a live performance during each night of your Pride of America cruise. Among the possible shows are comedians, Broadway-style production shows, magicians, acrobats, singers and dancers. Norwegian Cruise Line offers its guests a wonderful youth program, for both children and teens. 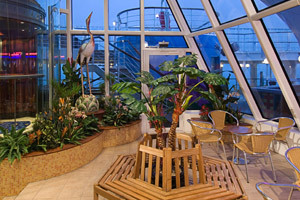 Plus, on board Pride of America there is a video arcade, as well as Splash Academy (featuring a paddling pool, jungle gym, computers and movie room) and Entourage Teens Club (a hip area of the ship, just for teens, with computers and internet facilities). Low Price Guarantee on all Pride of America Cruises! Book any Pride of America cruise with us and you'll get the best deal possible, regardless of the ship or sail date! 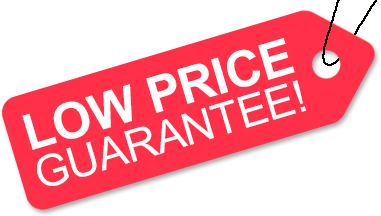 Because of our "Low Price Guarantee," nobody beats our Pride of America cruise prices, so look around and you're sure to find the best NCL cruise deal possible when booking with us! 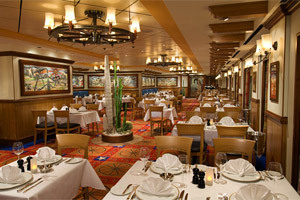 Pre-Paid Gratuities on Pride of America Cruises! Get an Onboard Credit when you book a Pride of America cruise with us. The value of the Onboard Credit depends on the particular cruise and accommodations you book. Onboard Credit values are listed on Step 3 of the online booking process. We do not charge booking fees on any cruises! You're sure to enjoy an affordable Pride of America cruise when booking with us! 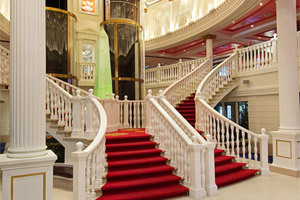 AARP Discounts on Pride of America Cruises! If you're an AARP member, you can get a 5% discount on all Pride of America cruises when you book at least 9 months prior to the sailing date. Please contact us for more details. Military Discounts on NCL Pride of America Cruises! We have very special NCL cruise pricing available on select sailings, for active and retired/veteran members of the U.S. and Canadian militaries. When available, our military discount can only be booked over the phone - book your Pride of America cruise with us to save! Certain restrictions apply. Our special offers on NCL Pride of America cruises may not be combinable. Certain restrictions apply to each offer. View terms and conditions during the online booking process. 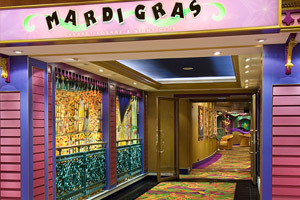 Click a price below to view the NCL Pride of America cruises during that month in that destination. Penthouses have room for up to four guests. You will have a bedroom with king-size bed, living room, walk-in closet, bath with shower, additional bedding to sleep two additional guests and a private balcony. Includes butler and concierge service. These staterooms were specifically designed for solo travelers. Solo travelers can enjoy all the comforts of their own stateroom without having to worry about a single supplement. 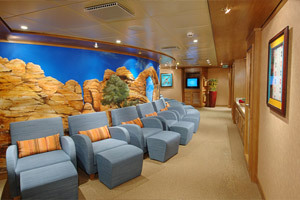 In addition, all Studio Inside's are connected by the Studio Lounge. This area is great for meeting other solo travelers, grabbing a quick drink, or reading a book.